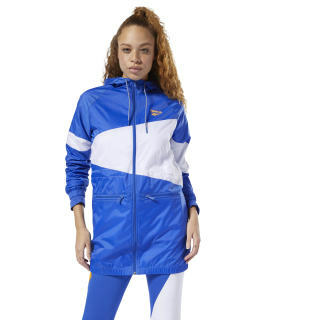 Archive design inspires this women's windbreaker. The jacket features a vector print and an oversize logo on the back. A large hood adds a modern, urban look. 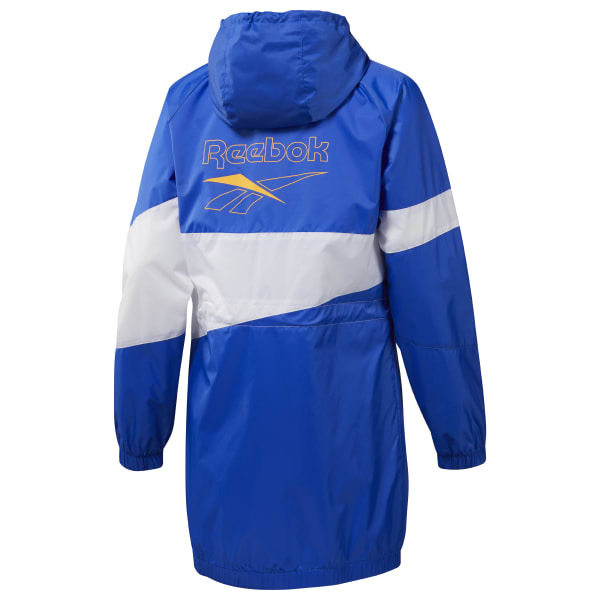 It's made of a durable nylon fabric for long-lasting wear.